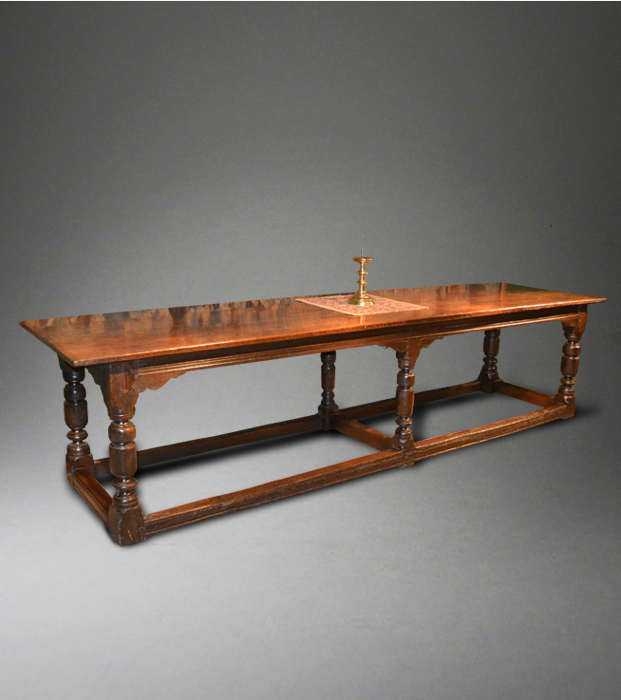 Suffolk House Antiques | One refectory table comes in as another goes out! ONE REFECTORY TABLE COMES IN AS ANOTHER GOES OUT! The recently displayed Commonwealth Period six legged refectory table shown below has been acquired by English Heritage for Bolsover Castle in Derbyshire which has been undergoing a refurbishment and will reopen to the public next week. 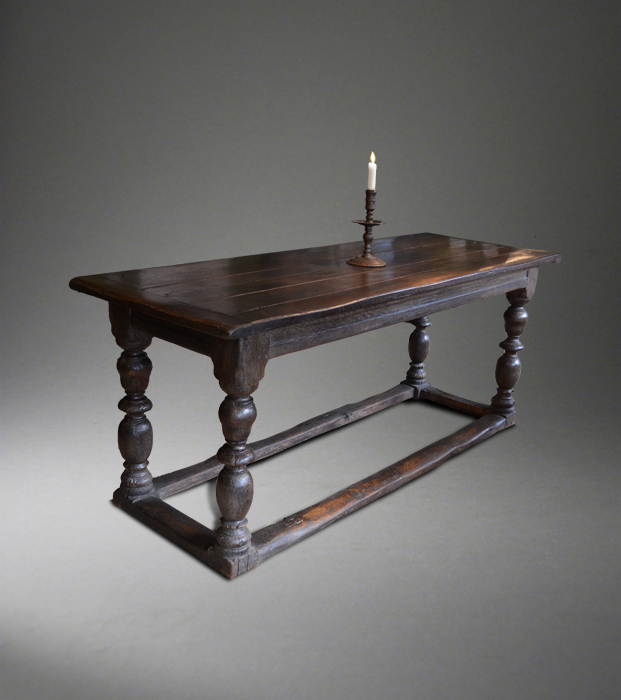 Taking its place in the shop is an interesting early 17th century oak refectory table in totally untouched condition. Probably Continental, full details can be found under "Tables" and it is a very reasonable price!